Though he was loath to discuss it (or much of anything, really), Queen frontman Freddie Mercury’s sexual orientation was pretty widely understood. Which isn’t to say he didn’t confuse the issue, writing “Love Of My Life” for longtime female companion Mary Austin—and of course delivering delicious-booty ode “Fat Bottomed Girls” to the world in 1978. The song was written by guitarist Brian May, but Mercury delivers lines like “big woman you made a bad boy out of me” with gusto. R.E.M.’s Michael Stipe was known primarily, in the band’s early years, as a mumbler of oblique nonsense—there was no way to discern a gender, or even a storyline, in many of his songs. But a couple of bootleg-only R.E.M. tracks that predate the Chronic Town EP offer pretty standard “Ain’t that girl cute” stories: “A Girl Like You” finds Stipe pining over a lady that makes him weak and breaks his heart, while “Pretty Girl (Hey Hey Nadine)” is a spunky little punker about a pretty blond with a childlike smile. “Girl, ’cause your touch is so right,” sang Clay Aiken to crowds of adoring ladies either too young or too self-deluding to know that he might rather be singing “boy.” Or perhaps they were just convinced by Aiken’s initial public denials of his sexuality, which were, sadly, probably good for business. But by 2008, with American Idol far behind him, Aiken finally told People the truth. 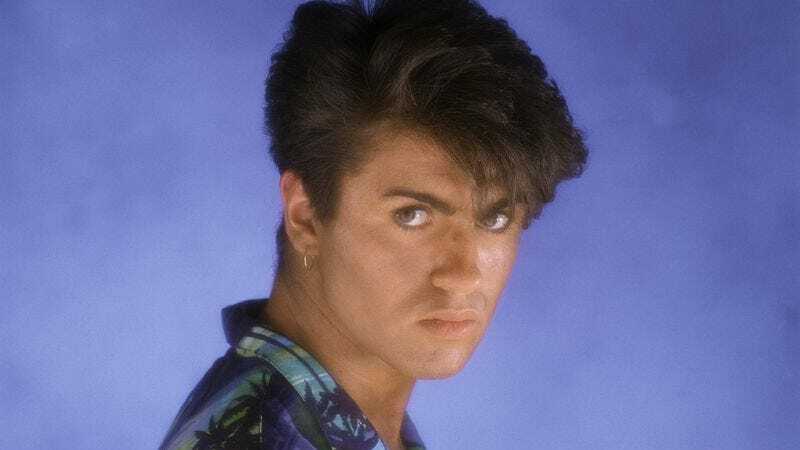 Teen girls in the mid-’80s could proudly point to Wham’s “Everything She Wants” as proof of George Michael’s heterosexuality: After all, it’s a pointed account of a married man whose wife’s greed is driving him crazy. Her proclamation that she’s pregnant—presumably by our hero—makes Michael even more despondent, because if his best isn’t good enough, how can it be good enough for two? Still, he got into this relationship because—at least six months prior to the story—she was “the perfect girl” for him. He was clearly conflicted: Long after coming out, Michael told GQ that he used to sleep with lots of women during the Wham days, even though he knew he was gay. Following Queen’s lead, British pop singer Mika penned this ode to the joys and pleasures of Rubenesque ladies, including the lines “You take your skinny girls / Feel like I’m gonna die / ’Cause a real woman / Needs a real man, here’s why.” The accompanying video is incredible as well, featuring Mika joyously dancing the streets with many objects of his affection. For most of the aughts, Mika was deliberately vague about his sexuality, calling himself “label-less,” but this earlier year he declared that he was gay.